Do You Have the Right Amount of Auto Insurance Coverage? Now that a new year is underway, it makes sense to review your finances and determine what you can do to improve your situation. One of the things you can do is look at your auto insurance coverage to determine whether or not you have the right amount of coverage. First of all, you need to check the minimum coverage amounts in your state. Most states stipulate a minimum amount of liability coverage so that if you are responsible for a car accident, your insurance company is the one footing a good chunk of the bill. While most insurers licensed in your state will automatically require you to get the lawful minimum, it doesn’t hurt to review the coverage and make sure that you are on the right track. How often you drive: The more you drive, the greater the likelihood that you will be in an auto accident. It even increases the chances that you will be the one that causes the accident. Pay attention to how busy your commute is. If there are a lot of cars on the road, the potential for a costly accident increases. Take this into account when you buy liability coverage. How much your car is worth: Most states just require liability coverage, and don’t require you to get comprehensive coverage to take care of damage to your own car. However, if you have a car that is worth quite a bit, you might want to make sure that it is covered so that you aren’t out the money if your car is totaled. 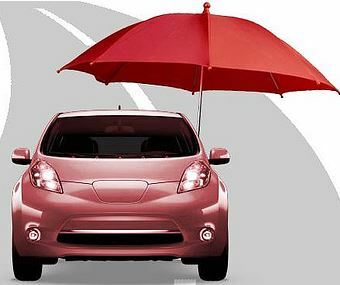 If you still have a loan on your car, chances are that the lender requires coverage. Are you worried about uninsured drivers? : It would be nice if everyone followed the law and only drove when properly insured. Unfortunately, this isn’t always the case. If you are concerned that an uninsured driver will be the cause of an accident, meaning that you are stuck with the bill (even if you sue, you will be stuck with the costs short-term until you can recover the expenses), it makes sense to buy the appropriate coverage. Do you have an emergency fund? : You can also self-insure. If you have built up a large emergency fund, you might be able to do without some types of insurance. If you have a large enough fund to facilitate the purchase of another car, getting insurance to replace your car if you wreck it isn’t necessary. Take into account your assets and emergency fund, since you might not need as much coverage if you have a significant chunk of capital available. Carefully evaluate all of your insurance needs. Now is a good time to look through your policies and determine if you have the appropriate insurance coverage for the coming year.